Laid down, 2 July 1943, at New Jersey Shipbuilding Corporation. 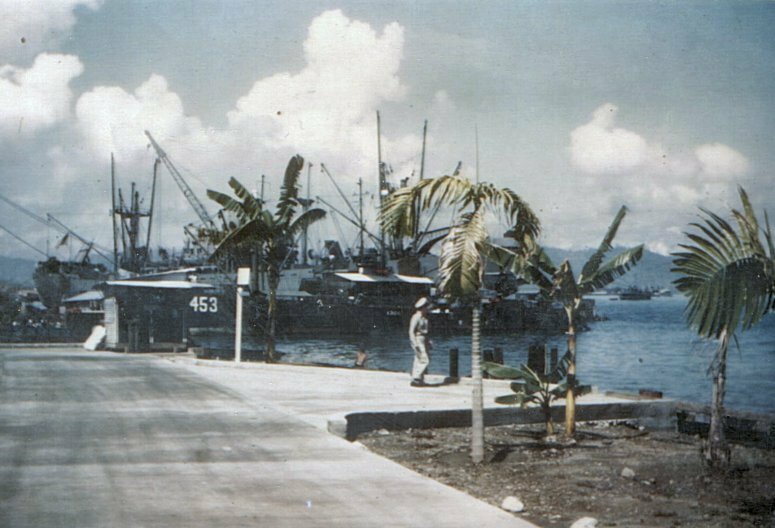 Barber, N.J.
60k USS LCI(G)-453 underway, date and location unknown. .
Beach White Peleliu - CTF 32 Operation Plan A501-44 Appendix 4 to Annex "D"